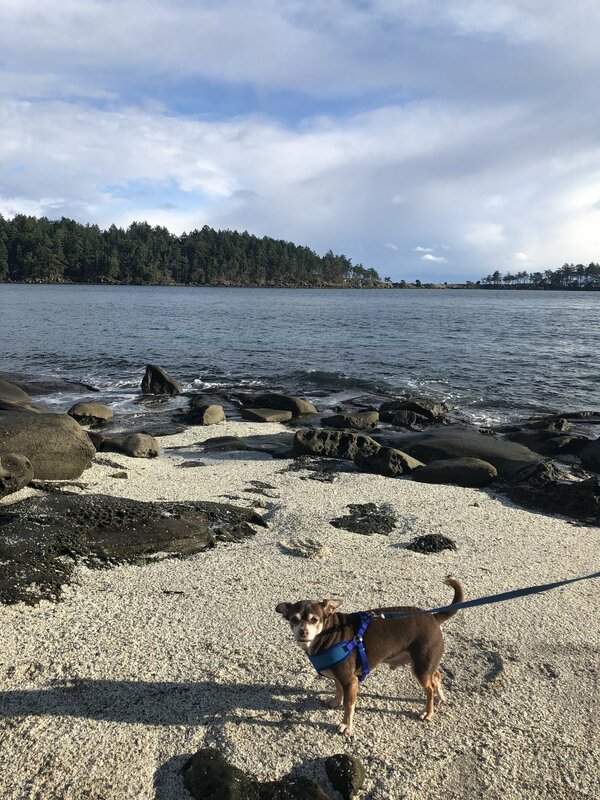 In 2016, my partner and I moved to Gabriola, a small gulf island off the east coast of Vancouver island, British Columbia, situated on unceded, Snuneymuxw, Coast-Salish territory. We had always known Gabriola as the “Isle of the Arts”, as it had a modern reputation for housing artists, hippies, and other eccentric types. It sounded perfect. Not to mention, there was a population of “esoteric” healers, therapists, and spiritual practitioners who seemed to add a certain metaphysical charm to its magic. Over these past three years since we’ve settled into our new home, I’ve been planning on joining Gabriola’s annual Artist Studio tour, which has been set for each October. This past year, I finally participated! When we first moved in, we organized and built a studio space, and now it is finally ready for use. 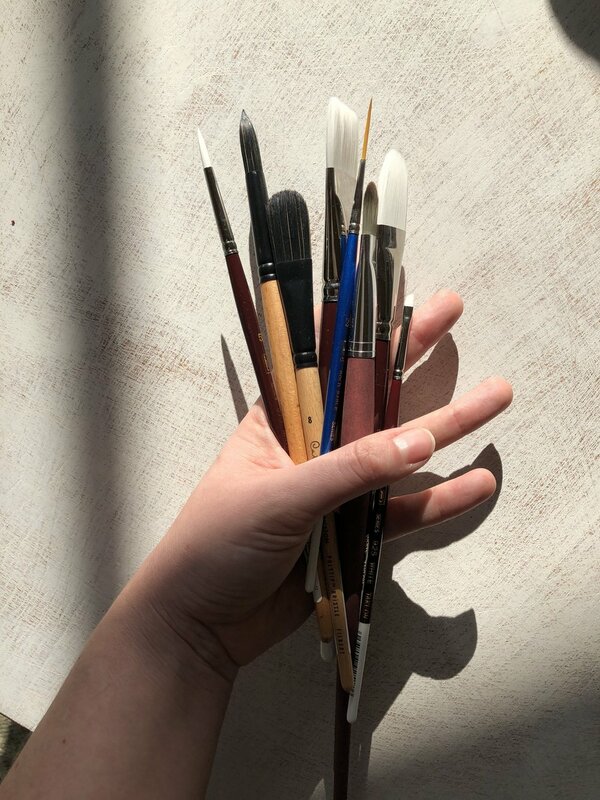 I am so excited to have a place to share and extend my work into the community, which will also house workshops, gatherings, and a shop of my own! This picturesque island is where we were lucky enough to settle down after living in the quiet surf town of Tofino for almost four years. Tofino was beautiful and definitely had its perks (endless sandy beaches, emerald waters and lush rainforests galore), but after a few years, we really began to miss our family and close friends. While we were there, we also tragically lost our beloved dog, which left a gaping hole in our lives. During that time, I'd been working as a teacher in the Alberni district, while experiencing an early-onset challenge in regards to my career path. Formally trained as both an Art and French Immersion instructor, I'd also been an avid painter and illustrator for most of my life, trying to find a balance between “logical” survival and creative expression. 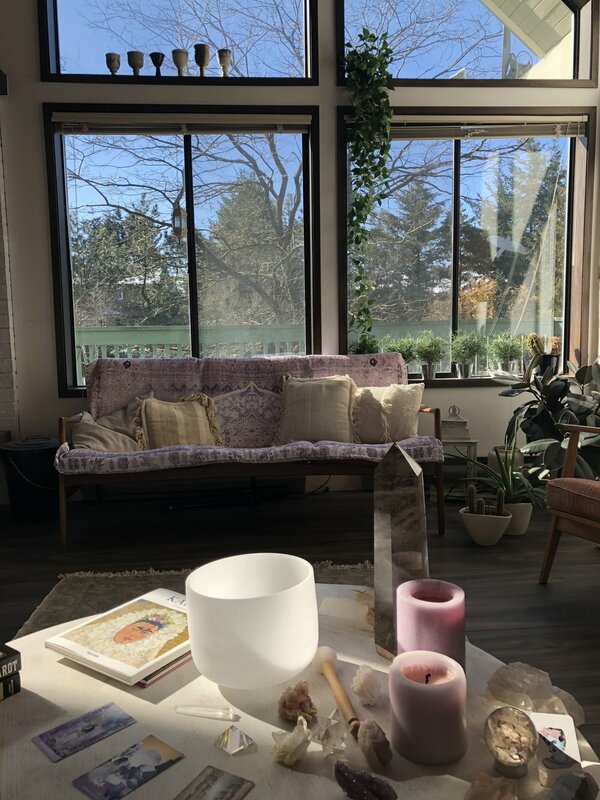 Even though I'd been working toward a full-time job that promised security and consistency (and the occasional teachable moment when it came to sharing art and spurring French prose), I felt like I'd been existing in a place of suspension during those four years, quietly observing myself from another window. I knew it was time to make some big changes. After Tofino, I decided to finally pursue my dream of being an artist. I grew up surrounded by some very inspiring creatives. My own grandfather was a gifted artist, having lived his life as an auto mechanic by day, while fulfilling portraiture jobs for members of his community, in his spare time. I will always treasure my memory of him painting in his grease-stained coveralls while skillfully adding delicate brushstrokes to a portrait of my mother. My training as an artist began when he first placed a pencil in my hand, making an attempt to instruct me in the laws of perspective and horizon lines. After that, it was an eye, then a face, then the proportions of a human. Piece by piece, I continued to draw and extend my heart into this soulful practice. I was hooked. My mother’s best friend, Akiko Shewring, was also one of my greatest inspirations when I was a child. As an expressionist painter, she worked with the most brilliant flare and colourful lens, shaping multicoloured landscapes and dancing florals throughout her work. I also have very special and impressionable memories of sketching and painting with her in our backyard - my eyes at level with the tall overgrowth of Queen Anne’s lace. I must have been about five years old at the time, but I still remember feeling completely at home with that red, messy pastel stick. After that, art became my life. I went on to study painting, film, and design work in post secondary, and then (as so many of us do, blindly privileged and immune to what comes after) I had spent my hard-earned savings on a degree, without knowing exactly what to do with it. 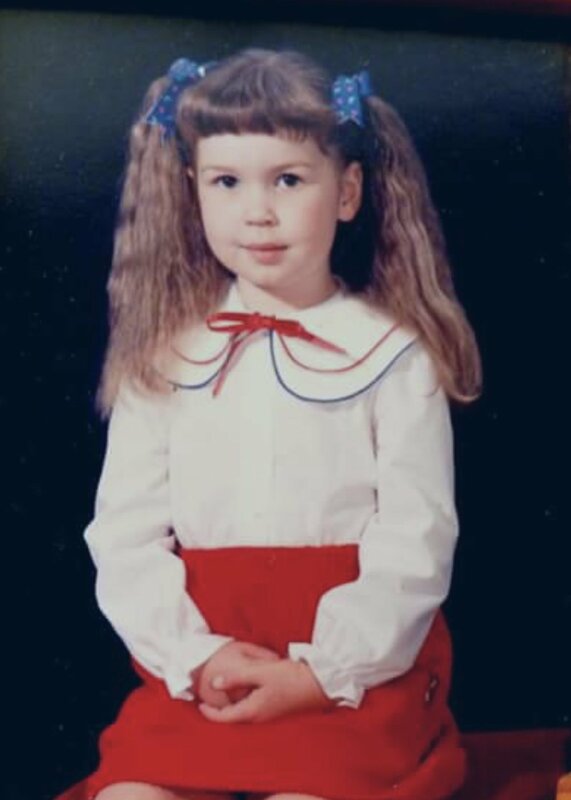 I decided that teaching Art was the next logical step, since I also had my own rebellious, heartfelt opinions about education; so I went on to complete my teaching degree and then quickly entered the system. After that, the rest is history. Fast forward to six years later, and I am happy to say that my original plan from the age of five has finally sunk in, and I am now finally making some big progress (although, I will always LOVE teaching, I have just come to the realization that I will need to do it on my terms, in the creative space of my choosing). Gabriola Island is a thriving artistic community, drawing artists, art lovers, and art supporters from all around the world. As the Isle of the Arts, we live in a world where cloudy paint strokes, glass stars, wooden creatures, and silver linings are with us in our day-to-day lives. 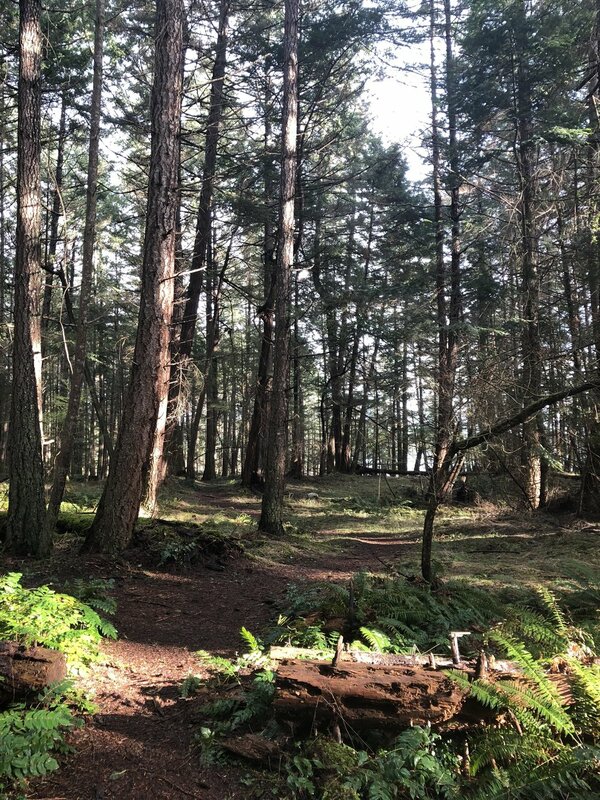 We attract more artists to move here every year, and that’s resulted in Gabriola Island having the sixth highest concentration of artists in the workforce in Canada (Hills Strategies Report, 2011). 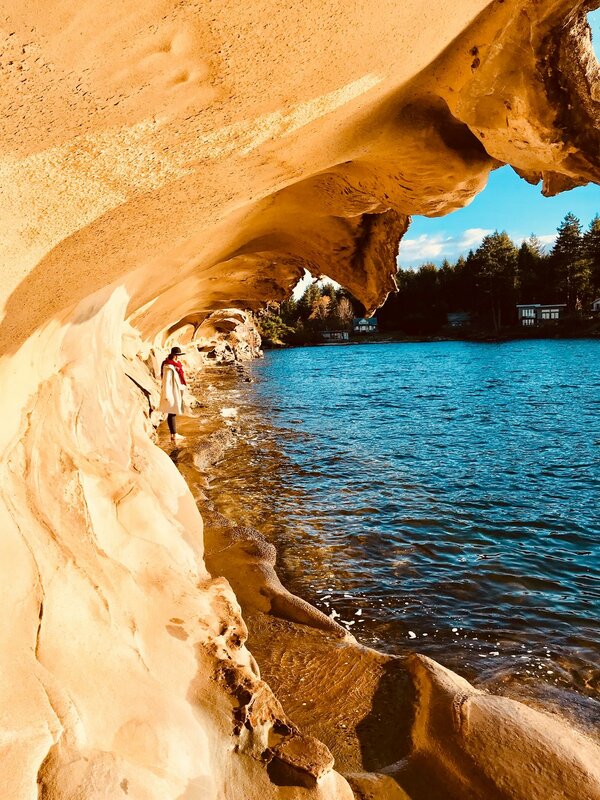 Gabriola Island is also a gorgeous place, full of inspiring natural and artistic wonders. The people and businesses on this island work together to make it a satisfying and culturally rich place to live or visit. Over the past 21 years, Gabriola artists have opened up their studio, gallery, and workshop doors all year long to welcome you into their space and share their work: a fabulous way to meet the creators of wonderful pieces of art. 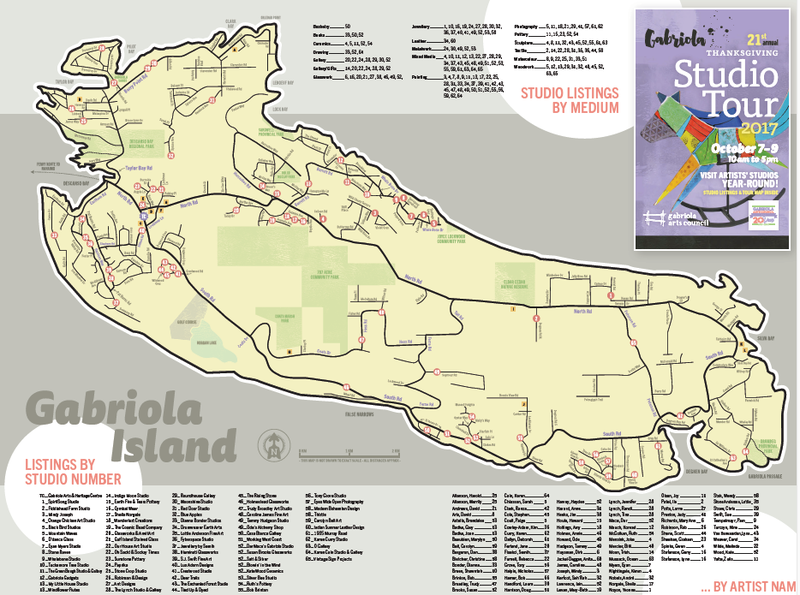 With 65 studios open on Thanksgiving weekend, and 55 open year-round, you can visit Gabriola Island artists in their studios as soon as you step off the ferry. All you need is the website, the comprehensive brochure, and a love of the arts. Gabriola’s Studio Tour has been a success since its inception 21 years ago, and continues to be one of the grandest fine-art events in the northwest. From art for your wall to art for your hand, the Gabriola Tour is every art enthusiast’s dream—a dynamic showcase for artists working in all media.